The PEV Fever has definitely caught on in Germany, with April signaling 5,700 registrations, a 61% increase YoY, with the PEV Share climbing to 2.2%. But more important than the Plug-in niche, are the seismic changes happening in the fuels mix of the mainstream market: Diesel sales continue to sink (-13%) YoY, to the benefit of all other fuels, regular gasoline-powered cars are up 19%, while alternative fuels are jumping ahead, with the highlights being CNG, up five-fold, and BEVs (+124%), but HEVs (+70%) have also grown significantly, just like PHEVs (+21%), hell, even LPG (+11%) had reasons to smile about, leaving diesel as the sole loser, with a market share of only 33%, far, far from regular gasoline cars (62%). At this pace, Diesel sales will be dead in das diesel Vaterland by 2021-22...Would someone imagine this four years ago? In a traditionally fragmented market, where the leader has only 8% share, the race for #1 now has five models separated for only 300 units, if the current leader Smart Fortwo ED continues losing precious ground to its followers, the Kia Soul EV was the one that had more reasons to be happy, not only recovered significant ground regarding the leadership, but also managed to surpass the BMW i3 and reach Fourth Place. April had plenty of changes, along with the aforementioned Kia Soul EV, the VW PHEVs had a great month, with the #6 Golf GTE and the #7 Passat GTE both jumping two places, with the Golf PHEV becoming the new Best Selling PHEV. The Mercedes E350e also rose two positions, to Tenth, becoming the Best Selling Premium model on the ranking, well ahead of its direct competitor, the BMW 530e, that nevertheless, also had a brilliant month, delivering a record 152 units and allowing it to climb two positions, into #17. But the model with the highest climb in the ranking was the new Nissan Leaf, leaping 5 positions into #13, with a Top 10 position not that far in the horizon. "Well, what about Tesla?" - You might ask. Speaking of a dynamic market, things are quite different for the automaker in 2018, currently the Model S is only #16, far from the Eighth spot it got last year, and even farther than the #5 of 2016, still its highest standing in Germany. Having scored 544 deliveries in 2018, sales are now down 35% regarding the same period of 2017, possibly due to the Model 3 long shadow. As for the Model X, deliveries are even worse, with 227 units so far, registrations are down 40% YoY. Are the upcoming German BEV SUVs (Audi e-Tron, Mercedes EQ C...) damaging Tesla's demand? One thing is certain, Tesla needs to do something here, especially considering that this market is on the fast lane (+70% in 2018), having already surpassed Norway as the largest PEV market in Europe. In the manufacturers ranking, Volkswagen is stable in the leadership, with 19% share, while last year winner BMW is in Second Place, with 16% share, and Third Placed Smart (13%, down 2%) is losing steam charge and watching its immediate competitors (Kia and Mercedes, both with 11%) getting closer. 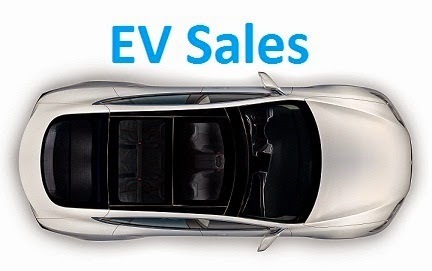 Regarding the BEV/PHEV share, BEVs are slowly, but surely, winning an edge over PHEVs, in April all-electric vehicles had 54% of all Plug-in sales, pulling their YTD lead up to 52%. Are they that shocked by dieselgate? I have a feeling, based on nothing, that the Smart Forfour and Leaf can join the top five, if they have the battery supply. And that the position in that top 7 will be more decided by steady battery supply that market demand. Is there a problem with supply in Smart or Leaf? The Leaf doesn't have battery production constraints, but it does have a production ceiling of 4000 units/month for the Leaf in Sunderland, so some markets will have to wait a couple of months to have the full deliveries. The Japanese factory has the same ceiling, which delayed the Leaf launch in several Asian markets, the only Leaf factory without this problem is the US one, where there is a thoretical ceiling of 15k/units. True, the Soul EV could sell much more, if Kia wanted...They just needed to lower the price a bit. Kia and Hyundai EVs remind me of MC Hammer hit: "U can't touch this", yes they are great, but good luck finding one. The German market is definitely on fire. Too bad most models have a long waiting list. Can you imagine what this market would do if it was not production constrained? We need more battery factories!!! I think the Diesel development will be fascinating. It will be interesting to see how low the percentage will have to fall world-wide before manufacturers stop developing new diesel engines and drastically reduce the number of diesel models offered. That might be a good indicator how manufacturers will respond to reduced ICE vehicle demand when the time comes. BTW, congrats on your excellent German language skills! Das macht nichts. Für diese Arbeit ist das Lesen wichtiger. Just saw this article on CleanTechnica about German PEV sales in April. And it is word for word exactly the same as you wrote in this post. Yes, i know, the CT article is credited to Jose Pontes, which is yours truly. But thanks for the heads up, it's nice to know EVS readers are out there and giving me input on what's going on the World Wide Web. Waiting times in germany could be a nice graph, or? One small Information about the Soul EV. This car is practically non-existent on the roads, which is backed both by the low total existing stock per year-end of that model as well as low number of requests for subsidy. You can check that when comparing registrations of a year with the stock of the car, reported for the whole calendar year. Most Kia Soul EVs seem to get exported to Norway after being registered in Germany, as that helps lowering the fleet emissions of Kia. This means that German BEV Adoption is somewhat lower, and Norways a bit higher. There appears to be no other case of such a procedure for the German market, as stock as well as subsidy registrations correlate with the registrations.